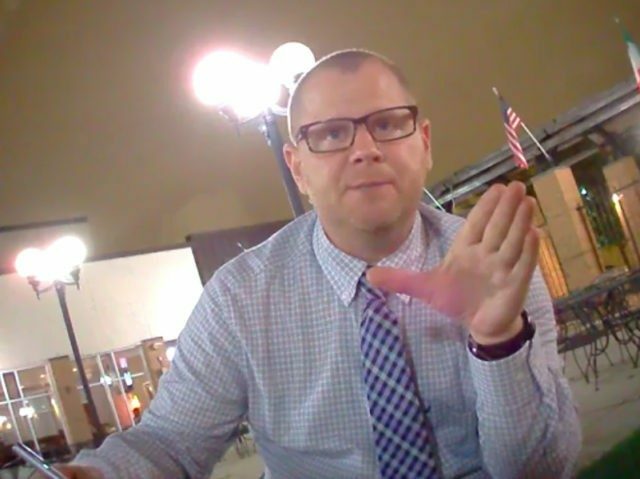 Scott Foval, one of the subjects of a recent James O’Keefe exposé broken exclusively by Breitbart on Monday, has been removed from his job with the liberal advocacy group Americans United for Change. In an exclusive interview with Breitbart News, James O’Keefe said he believes this is not the end. “They want to make Scott Foval the fall guy. But this rot goes higher and deeper. This was a conspiracy to create a narrative that Trump supporters were dangerous and out of control. This scheme was created and approved at the highest levels of the Hillary Clinton campaign and the Democratic National Committee,” O’Keefe said. Fovel has already removed traces of his associations with Americans United for Change from his LinkedIn account.